Franklin PUD offers Generation Green, a “green power” program to give our customers an opportunity to purchase renewable energy generated from qualified alternative energy resources. This program, which provides a voluntary option to customers, is mandated by the State of Washington through RCW 19.29A.090. 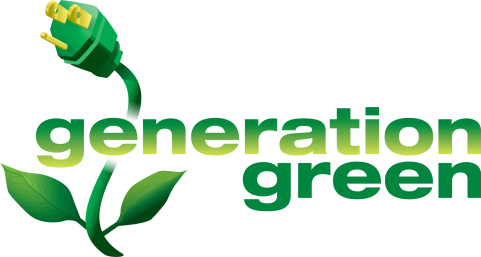 Participation in Generation Green is solely a customer’s choice and your commitment and level of participation is completely up to you. You choose the amount to be billed monthly and included on your electric bill. The amount you pay is above and beyond what is already included in Franklin PUD rates for renewable energy. Currently about 8% of our total budget goes toward renewable energy. PUD customers may purchase green power in 100 kilowatt-hour blocks, at a cost of five dollars per block, per month. The purchase of each block does not replace the current consumption of electricity by an owner/ratepayer. 1. $5.00 = one block (100 kwh’s) of green power (billed monthly). 2. $10.00 = two blocks (200 kwh’s) of green power (billed monthly). 3. One-time basis with no limit (in increments of $5.00 only). What is renewable or “green” power? It is power generated from sources such as wind, solar, geothermal, biomass, tidal wave, and some hydro resources (only those classified as “qualifying” by the State of Washington). These resources are considered better for the environment than fossil fuels because they produce few, if any, pollutants and the fuel to operate is produced by natural processes. Currently Franklin PUD’s renewable resources include primarily wind and a very small portion of solar. How do I sign up for Generation Green? You can sign up or discontinue the program anytime simply by calling one of our Customer Service Representatives at 547-5591, or by coming into our Administration office. What will happen to my contributions? The proceeds will be used to help offset the cost of Franklin PUD’s renewable power purchases. These are relatively new technologies that are still evolving. It is normal that new technologies start out costing more in the beginning of their development. And while renewable power is more expensive, less reliable, and more difficult to integrate into the existing power system, its use helps protect our natural environment by reducing greenhouse gas emissions. Generation Green – Supporting a green, clean, renewable environment today and tomorrow.